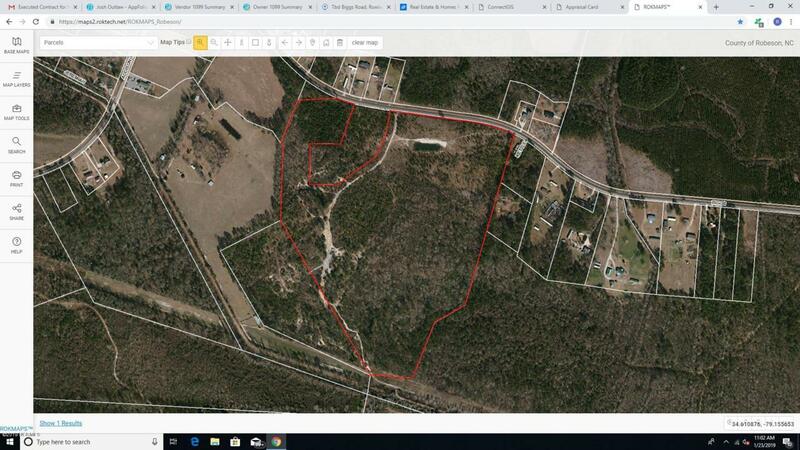 This property has 1425ft of road frontage that the owner had a plot map drawn up making 11 lots at least 1 acre in size. The rear of the property was previously used by the old Converse plant to dump soles of tennis shoes, currently being leased as a hunting tract. The owner has priced the acreage so a potential buyer could sell the road front lots and end up paying for entire acreage. Listing provided courtesy of Randy C Mccall of Associated Realty, Inc.
© 2019 NCRMLS. All rights reserved. North Carolina Regional Multiple Listing Service, (NCRMLS), provides content displayed here (“provided content”) on an “as is” basis and makes no representations or warranties regarding the provided content, including, but not limited to those of non-infringement, timeliness, accuracy, or completeness. Individuals and companies using information presented are responsible for verification and validation of information they utilize and present to their customers and clients. NCRMLS will not be liable for any damage or loss resulting from use of the provided content or the products available through Portals, IDX, VOW, and/or Syndication. Recipients of this information shall not resell, redistribute, reproduce, modify, or otherwise copy any portion thereof without the expressed written consent of NCRMLS. Data last updated 2019-04-19T23:55:44.883.